Enter now the Sea FM’s 90.9 Airmazing Escapes Competition, in it, you get the chance to Win 1 of 5 trips to Kuala Lumpur courtesy of Air Asia. This competition is open only to legal residents of NSW and QLD who are 18 years of age or older. To enter you need to download the current ‘airplane playing card’ from the web site, 90.9 Sea FM’s Facebook or Instagram pages and listen to 90.9 Sea FM and listen across the day to find out which Destinations are hidden under each seat, then call 13 12 16 for your chance to win. Competition closes on 3 May 2019. Winner will be selected the first caller that answers correctly. There are 5 prizes available, each consists of a trip for two to any of the 5 available Gold Coast destinations, all including return airfares, 4 night's accommodations and $2,000 spending money. 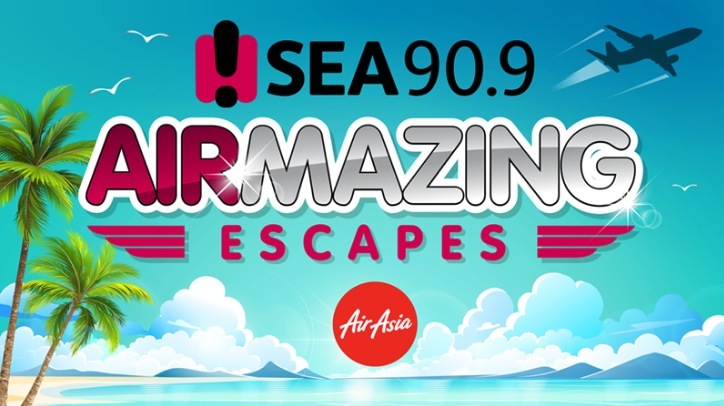 The Sea FM's 90.9 Airmazing Escapes Competition begins on 8 April 2019 and ends on 3 May 2019.